Alcohol is the single greatest cause of substance use disorder (SUD) in the United States. According to the Centers for Disease Control and Prevention (CDC), alcohol kills approximately 88,000 Americans per year through direct and indirect causes. In addition to its culpability in a widespread fatality, alcohol abuse destroys physical and emotional health, quality of life, careers, and relationships. It is responsible for billions of dollars in rising health care costs, thousands of hours in lost productivity at work, and countless instances of domestic and intimate-partner violence. Recent data published in JAMA Psychiatry indicates that one in eight Americans fits the criteria for alcohol use disorder (AUD) outlined in the Diagnostic and Statistical Manual (DSM). 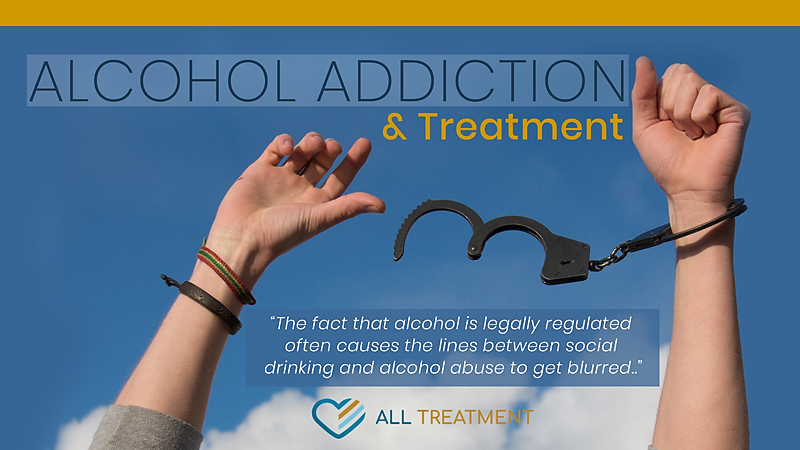 The fact that alcohol is legally regulated often causes the lines between social drinking and alcohol abuse to get blurred, which can prevent people from recognizing or admitting to problematic drinking within themselves or others. The National Institute on Alcohol Abuse and Alcoholism (NIAAA) defines binge drinking as a pattern of drinking that brings a person’s blood alcohol concentration (BAC) to 0.08 grams percent or above. This typically happens when men consume five or more drinks or women consume four or more drinks in about two hours Many AUD sufferers go on for years in a high-functioning capacity, nursing an alcohol addiction and going great pains to hide it from their family, friends, and colleagues; eventually, however, it becomes too much and creates chaos in their lives. If you or someone you care about is exhibiting one or more of these symptoms, there are additional assessments you can take to find out for sure whether you have a problem. The American Society of Addiction Medicine (ASAM) and the Substance Abuse and Mental Health Services Administration (SAMHSA) have comprehensive screening tools to help you with your AUD diagnosis. Denial can prevent AUD sufferers from getting the help they need, which is why it may be important for loved ones to take the screenings on their behalf, to identify a problem and guide them toward treatment, if needed. Alcohol addiction is characterized by physical and psychological withdrawal symptoms. The alcohol withdrawal period is typically divided into three stages: early, acute, and protracted. 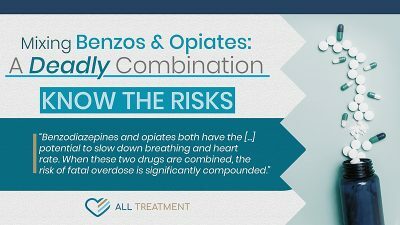 The process can often last anywhere from one to multiple weeks depending on the level of treatment administered for the immediate and ongoing symptoms. Once AUD is identified, treatment should be deployed immediately. The process should be customized according to each patient’s individual care needs but should always begin with medically supervised detoxification (detox) and withdrawal management. Prolonged and untreated alcohol abuse creates serious and long-term changes to neurochemistry and the central nervous system, so it’s critical that drinkers receive safe and effective medical help to revert their systems to normal function while getting help for any associated health issue. Once patients are medically stabilized in detox, they can embark on a course of behavioral rehab that’s right for them. Multiple types of alcohol rehab exist to accommodate each patient’s individual care needs and lifestyles, including inpatient, outpatient, intensive outpatient (IOP), partial day programs, and more. Some patients are able to get the help they need in an outpatient program that allows them to maintain their careers and families; others will require more in-depth care from an inpatient or residential treatment facility. After an initial course of treatment, patients may need to spend some time in a sober-living facility to get their lives back on track as they gradually reintegrate into everyday life. Get Treatment for Alcohol Addiction Today. If your alcohol addiction has forced you into unhealthy, dangerous, or undignified situations, it’s time to have an honest and frank assessment of your alcohol consumption to see if you need treatment. You’re not alone if you’re suffering from AUD, and even if you don’t think you can get help, recovery and a better tomorrow are possible. The first step is admitting that your drinking is a problem and that you need help. Your alcohol addiction treatment may even be covered by your health care plan. Find out your treatment options today.